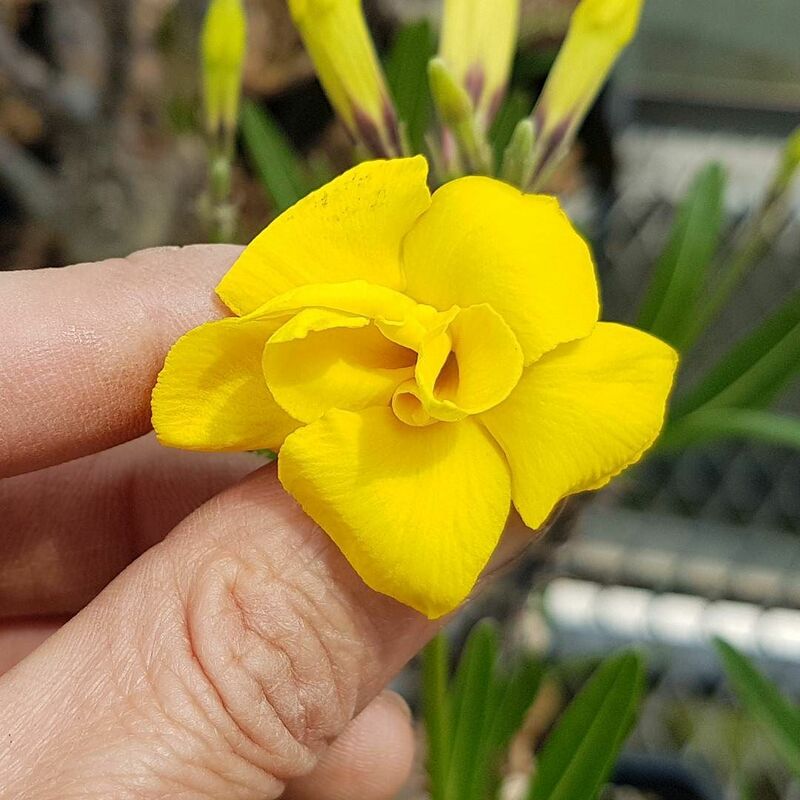 A Pachypodium flower. Never noticed this before. Echeveria 'Fake Stretched Red' と Ech. 'Fake Stretched Green'.